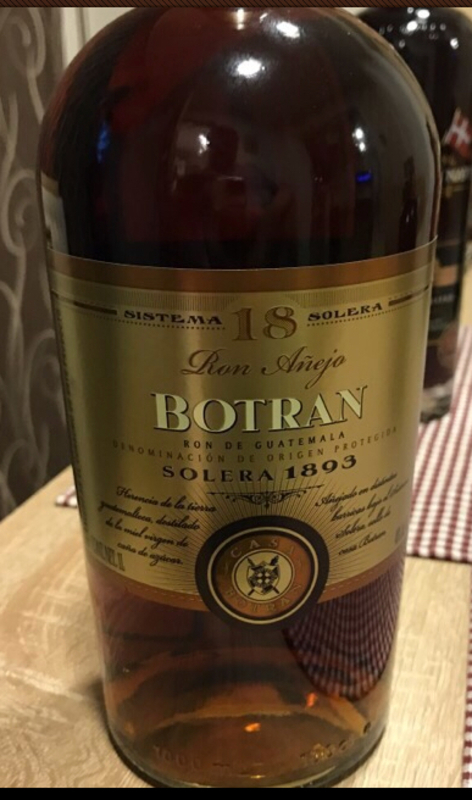 Have you found an online vendor selling Ron Botran 18-Year? 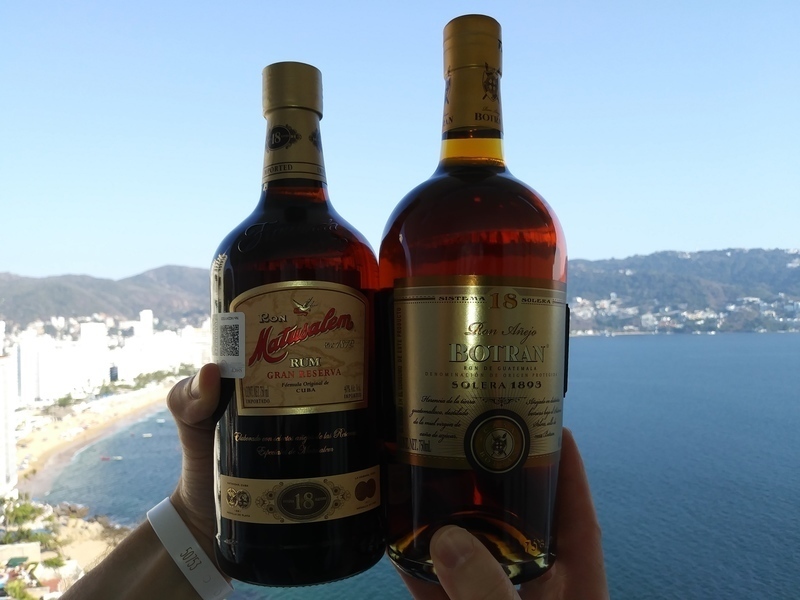 Vacationing in Acapulco and tasting Botran Solera 1893 18y and Matusalem Gran Reserva 18y back-to-back. Botran has a pretty decent bottle design and high end sturdy box which reminds me of good quality single malt whisky boxes. Color is semi dark with oak intruding both nose and palate. Some burn at the end, but rather mild. This is the best rum Botran has to offer. Matusalem 5 - Botran 7. This is gutemala rum, little dry taste little harder nose. Tasty rum but I would not expect this much burn for the price point. Still definitely sippable, though. I am not able to drink this without Coke and lemon. Dry, flat, alcohol and water. Alcool présent. Rhum sec avec une certaine rondeur. Note de caramel et d'épice. Disappointment. That's the first and last feeling about this. First you taste watery alcohol, then bit harsh biting. Finish has some fruit and warm, but with oaky note. Drinkable, not even near worth the price. A bit of a sherry taste at first, then oak and burnt sugar. It is a lot alcoholic. You can smell it on the nose. Taste is quite good, but the afterburn when you swallow it is not the one you are looking for. Had this at Manchester Rum Fest, and hugely enjoyed it which is why I was surprised to see so many average reviews on here. I found it to have a sweet initial taste followed by a smokey body and a warming aftertaste. easy to drink and nice and light that I could drink multiple. Když jsem tento rum zkusil, hned jsem si vzpomněl na El Dorado 12, které má základní dubové tóny velmi podobné. Botran 18 je ale oproti El Doradu 12 méně sladký, jemněší a víc do dřeva. Výborné pití komu chutná Guatemala. tastes of too much alcohol The coloring is light brown. Overall I would classify this a very good mixing rum. It's....rum. As distinctly average as possible, in presentation, pour, taste, and finish. Really not memorable. Drinkable, mostly, although a bit more oil burn than I'd want for such an otherwise lackluster rum. Similar to Zacapa 23y but not so strong alcohol taste. Thiner body and much less layers than Diplomatico 12y. Ron Botran 18 år är en ganska skaplig rom faktiskt. Den behöver luftas lite innan den påbörjas för att släppa aromerna ordentligt. Påminner lite om Zacapa solera 23 fast betydligt tunnare. Skulle kunna tänka mig att det är en bra nybörjar- eller instegsrom även om mina förväntningar var lite högre ställda. En ok 6:a! Once again, no suprises—solera-aged, little to no dosage, latin-style rum with a bit of 18-yo juice inside. More oak coming through compared to the 12. A solid choice, for the right price. I bought this one for myself at the Cancun airport, only because they didn’t have any Havana club! It’s just OK not fabulous, not horrible. I can definitely submit though, even though it wouldn’t be my first choice. Un rhum assez facile à boire un petit côté caramel légèrement épicé mais qui manque un peu de sucre à mon goût.